Michael Berger, PhD is an Associate Director of the Marie-Josée and Henry R. Kravis Center for Molecular Oncology at Memorial Sloan Kettering Cancer Center, a multidisciplinary initiative to promote precision oncology through genomic analysis to guide the diagnosis and treatment of cancer patients. He is also an Associate Attending Geneticist in the Department of Pathology with expertise in cancer genomics, computational biology, and high-throughput DNA sequencing technology. His laboratory is developing experimental and computational methods to characterize the genetic makeup of individual cancers and identify genomic biomarkers of drug response and resistance. As Scientific Director of Clinical NGS in the Molecular Diagnostics Service, he oversees the development and bioinformatics associated with clinical sequencing assays, and he helped lead the implementation and validation of a robust molecular profiling platform (MSK-IMPACTTM) and accompanying analytical framework for use in real-time patient management. He received his Bachelor’s Degree in Physics from Princeton University and his PhD in Biophysics from Harvard University. 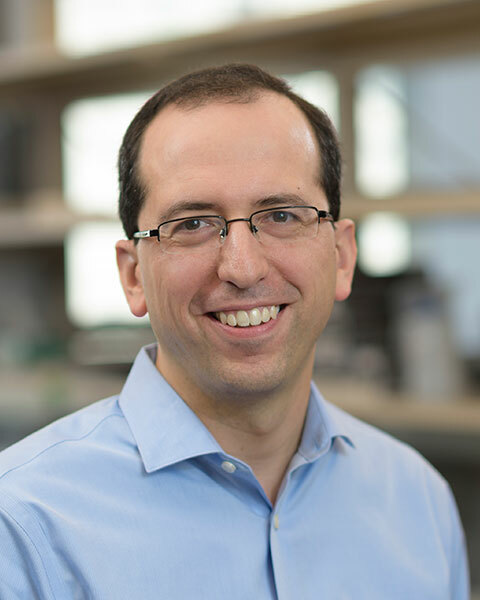 Bio: Michael Berger, PhD is an Associate Director of the Marie-Josée and Henry R. Kravis Center for Molecular Oncology at Memorial Sloan Kettering Cancer Center, a multidisciplinary initiative to promote precision oncology through genomic analysis to guide the diagnosis and treatment of cancer patients. He is also an Associate Attending Geneticist in the Department of Pathology with expertise in cancer genomics, computational biology, and high-throughput DNA sequencing technology. His laboratory is developing experimental and computational methods to characterize the genetic makeup of individual cancers and identify genomic biomarkers of drug response and resistance. As Scientific Director of Clinical NGS in the Molecular Diagnostics Service, he oversees the development and bioinformatics associated with clinical sequencing assays, and he helped lead the implementation and validation of a robust molecular profiling platform (MSK-IMPACTTM) and accompanying analytical framework for use in real-time patient management. He received his Bachelor’s Degree in Physics from Princeton University and his PhD in Biophysics from Harvard University.